I’m happy to announce that we’ve been allowed to start building out our levels for the final version of the game and 2 weeks ahead of schedule too! This past week we were busy building out our ideas for the first 3 levels and the tutorial of the game. As you can see we’ve been replacing most of our temporary assets with artwork and the game is starting to feel like it’s coming together nicely. I worked on the tutorial this week and had come up with the idea to teach the player what they needed to know by having one of our monkey enemies lead the player along the path, showing them what to do. The monkey’s movement that I setup for this build is only temporary so you’ll see that it’s pretty quirky if you test it out. 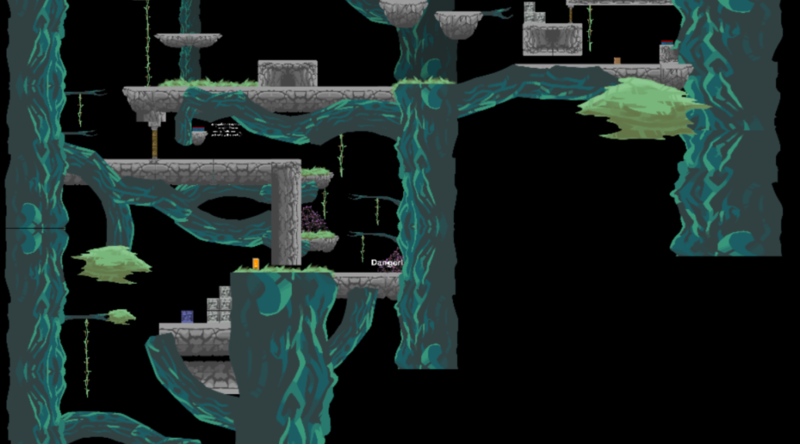 We plan on replacing it with actual animations when the level has been completed and the monkey’s art is finished. I spent the rest of the week cleaning up the character’s state machines and data models. I not only optimized and organized them but I also got the state machines ready so that we could easily implement our animations. We’ve decided to enter Above into the TERMINUS conference held in Atlanta, GA in June and we’re hoping to be one of the finalists so that we’ll be allowed to show off our game on the expo floor. That being said our next few updates will mostly be polish for the first few levels as we want it to resemble the final product when we send in our submission. 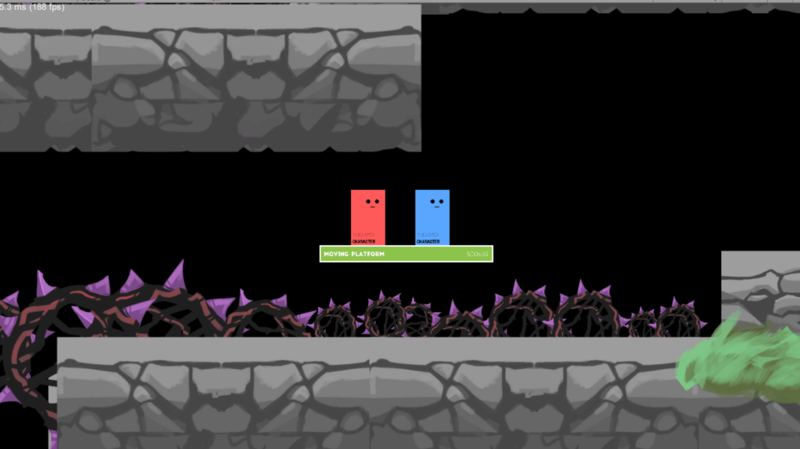 Created our first 3 levels and the tutorial. Corrected a bug where the male character was able to spawn his clone behind objects. Added a glow effect to the GUI amulet that shows when characters are near enough to get a boost in energy or when they’re in danger.